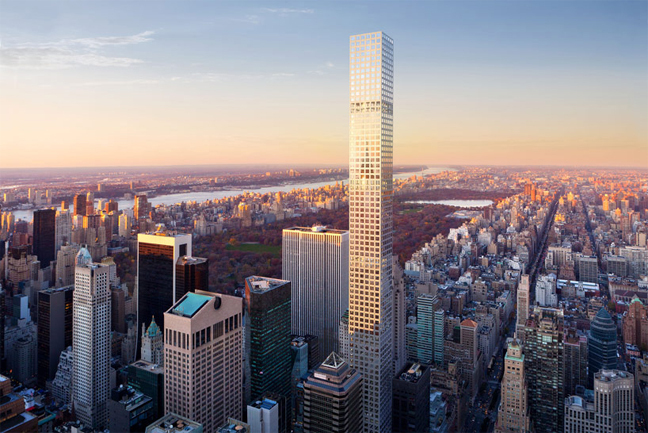 Rafael Vinoly has designed a landmark for the Manhattan skyline with 432 Park Avenue, a 1396 foot tall tower slated to become the tallest residential building in the Western hemisphere. While the official launch of the condominium sales occurred in March 2013, the project has already achieved over 1 billion USD in sales, boasting an International set of buyers investing in residences priced anywhere from 7 million USD to 95 million USD. The architect approached the monumental design for the forthcoming tallest building in New York city with graceful compactness in mind. 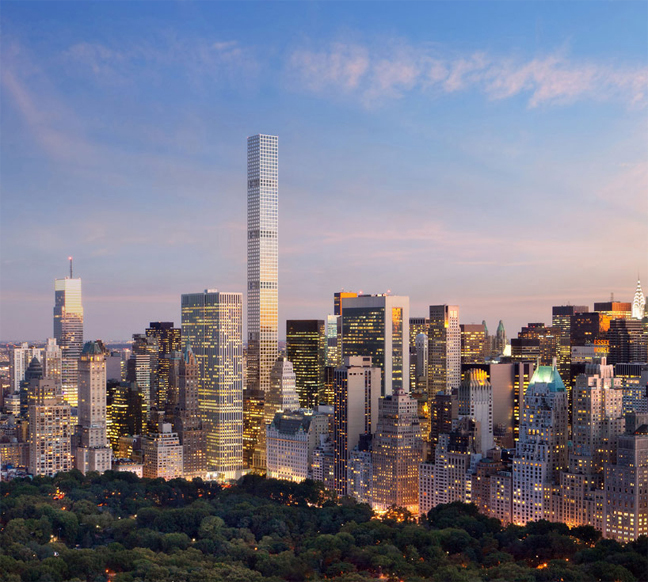 The slender tower’s 96 storeys will be a glazed and concrete vision overlooking Central Park, the Hudson and East Rivers as well as the thick, richly diverse urban fabric of Manhattan – all visible through 10 by 10 foot apertures. The svelte exterior form belies the spacious plan; residences will include private elevator landings, eat-in kitchens, master suites and a plethora of fine finishes and optional additions. In the space-hungry eastern metropolis, future residents will enjoy 30000 square feet of amenities. Renderings already show a miesian composition of glazed panes catching the impossible yellow-oranges and pinks of the east coast sunset. 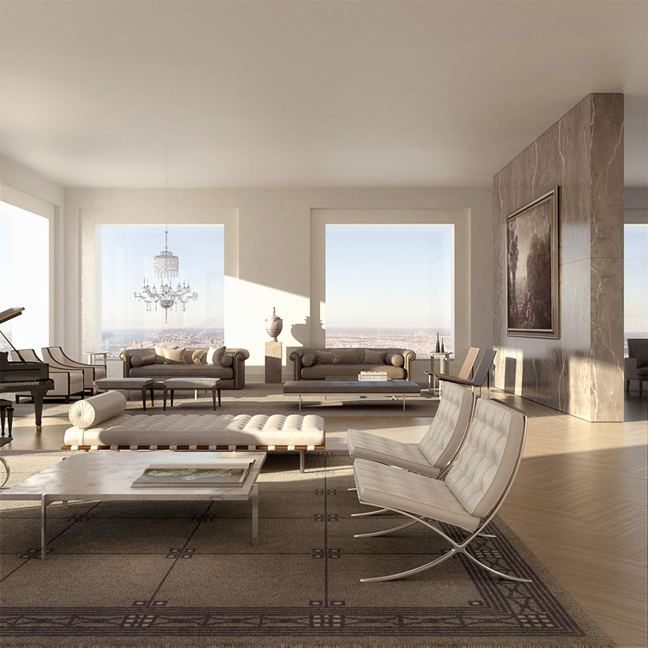 432 Park Avenue is slated for completion in 2015.